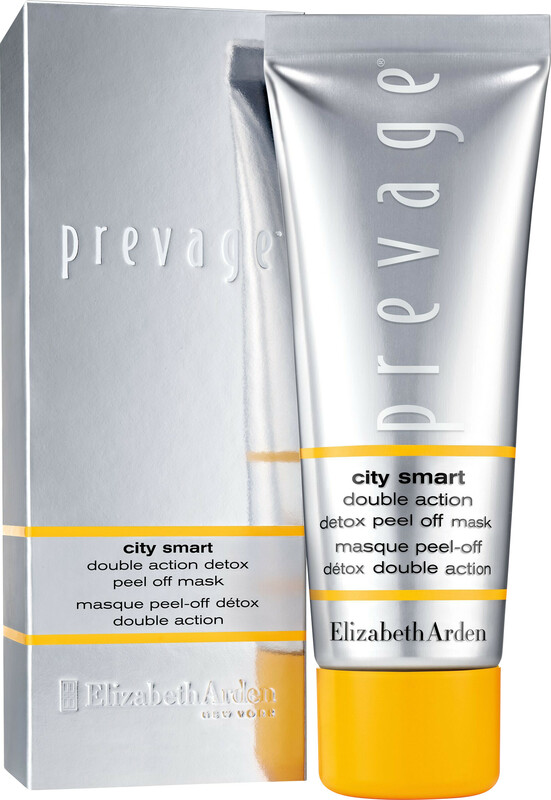 Give your skin a detox with the Elizabeth Arden Prevage City Smart Double Action Detox Peel Off Mask, a resurfacing treatment for fresher, more luminous skin. Living in the city has lots of perks, but pollution isn’t one of them. The powerful Prevage City Smart Double Action Detox Peel Off Mask works to defend your skin by acting like a liquid magnet, removing surface toxins and impurities from pores to reveal a fresher, cleaner and smoother complexion. The gel caresses skin with freshness, working to peel away dirt, oil and pollutants whilst gently stimulating the skin’s natural detoxication system with its smart polymer blend. Added antioxidants fight free radical damage that can make skin appear prematurely aged, whilst tree mushroom extract minimises the appearance of pores. Twice a week, apply a generous layer to clean skin and leave on for 20 minutes. Gently peel off from the edges to reveal a brighter complexion.